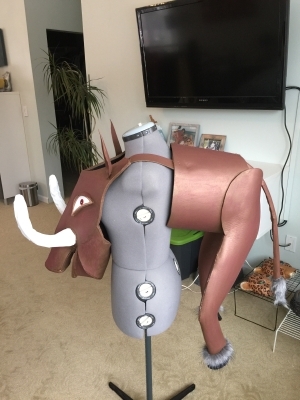 Pumbaa was made out of ultra-lightweight XL200 cross-linked polyethylene foam that I purchased from a local foam and upholstery store. It was very cheap. 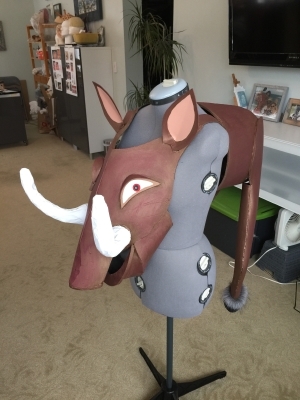 In order to connect his front and back half and provide a comfortable way for someone to wear him over their shoulders, I used an old (wide) leather belt that I cut up and glued to Pumbaa using Goop adhesive. 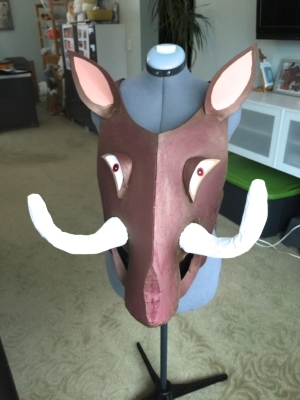 His tusks were made by scrunching up aluminum foil into the shape of a tusk and then wrapping it with duct tape and then painting it. It was glued on with hot glue and Goop. 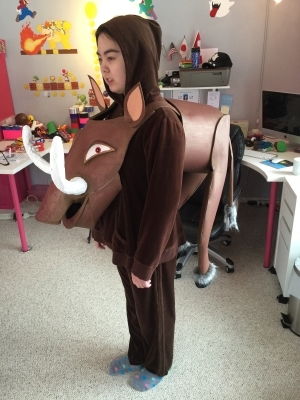 Pumbaa's tail and hooves were accented with faux fur. 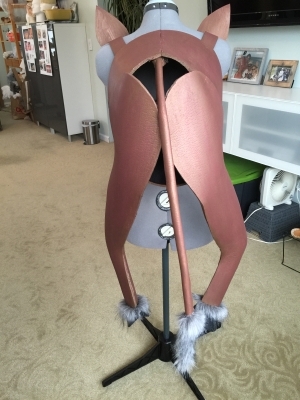 I do not have a how-to video for constructing him. I painted him using a couple different shades of brown and metallic brown acrylic paints. I also used some wine colored paint for depth and shading. I spray painted his insides black.